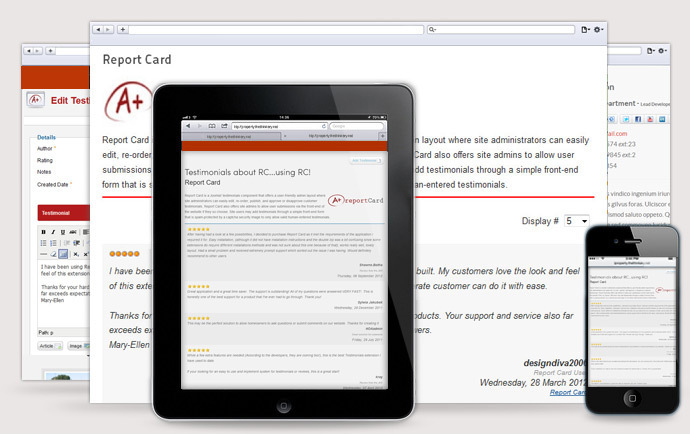 ReportCard is a Joomla testimonials extension which allows your site users to submit testimonials on your products or service. Administrators have the power to approve, disapprove and manage all testimonials or enter their own with a simple user friendly admin interface. Show potential customers what your current customers are saying!